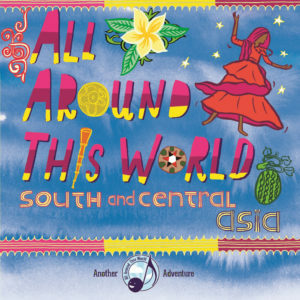 All Around This World’s Indian songs for kids, and all our music from South and Central Asia, introduce your family to so many cultures through interactive fun . . .
All Around This World: South and Central Asia will take you and your family on a musical trip like none other, a journey into the heart of South and Central Asia with two guides–an Indian master tabla player (Samir Chatterjee) who knows so much about the region and its music that he literally wrote the book on it, and a Philadelphia-based music teacher who may be about the furthest thing there is from an Indian master tabla player (Jay) but has a knack for interpreting global music and introducing it to kids. 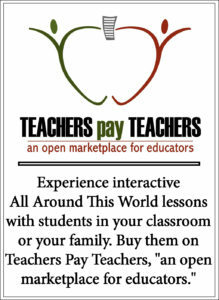 This ambitious cross-cultural adventure will introduce you to a multilingual diversity of Indian songs for kids, trek with you across several stans (Uzbekistan, Kazakhstan, Kyrgyzstan), travel up to the distant Tuvan Republic in Central Asian Russia, traipse across the region from Afghanistan in the west to Western China to the highest Himalayas of Nepal and beyond. Since all the South and Central Asian music we’re in the process of recording won’t fit onto one disc we’ve decided to split the project in two; volume 1 will feature songs from all over India, volume 2 will introduce us to songs from the rest of the region. PRODUCER: Jay is currently working with tabla virtuoso Samir Chatterjee to arrange and record music from all over South and Central Asia for this CD. 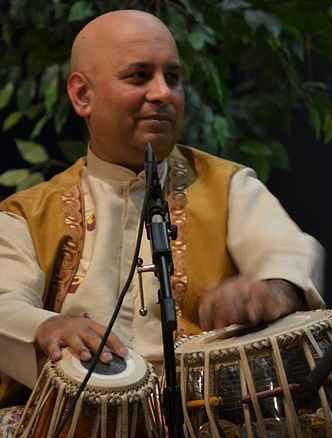 In addition to performing, producing, teaching about tabla and Indian music at universities like Yale, the University of Pittsburgh and the New School for Jazz and Contemporary music, authoring a 654-page book entitled “A Study of Tabla” and releasing guide book to Indian music titled “Music of India,” he is also founder-director of Chhandayan, “an organization dedicated to promoting and preserving Indian music and culture.” Watch Samir in a masterful tabla performace. Learn more about Samir.